and get the positive response you’re hoping for? Grand Staircase at Titanic Branson! wedding proposals at the top of the Grand Staircase. This elegant staircase is an exact replica of the original and the only one in the world a romantic suitor can stage a surprise or pre-planned marriage proposal. 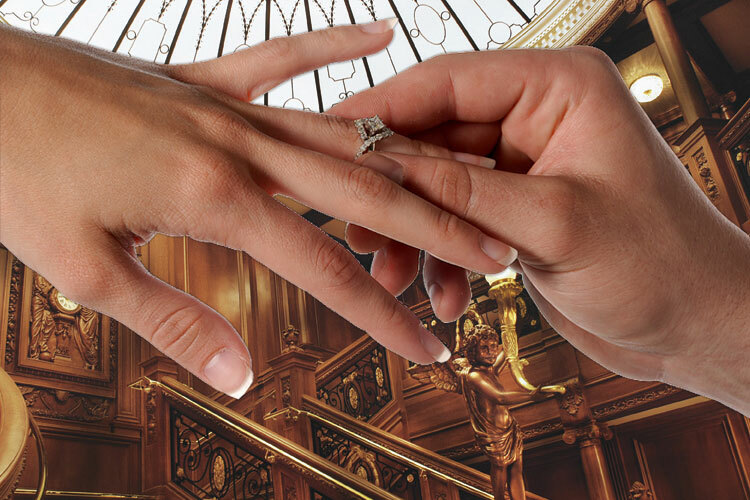 It’s the beginning of your forever after, so make it unforgettable from the start on Titanic’s Grand Staircase. If yours is a surprise proposal, we’ll handle arrangements to make sure she doesn’t know. First Class Maid or a First Officer to assist with proposal set-up.